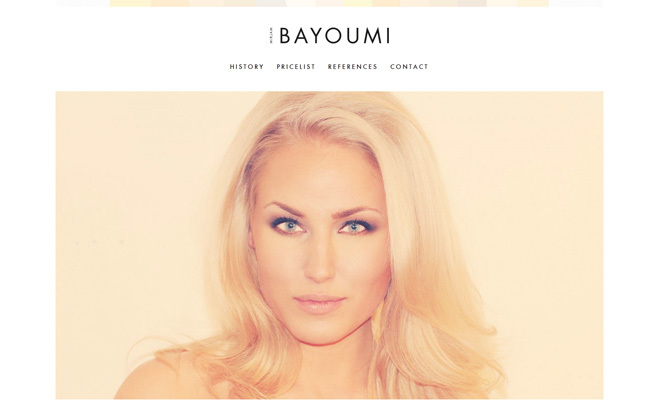 Mirjam Bayoumi has run her own boutique salon in Upper East Side, NYC since december 2009. The site has a slideshow on the first page and is responsive between 660px and 1200px. Make your reservation at Mirjam Bayoumi Salon.